Central Eye Care Ltd - Improving Vision, Improving Life! Welcome, and thank you for visiting the website of Arlington Heights, IL ophthalmologists David Badawi, M.D. & Brittany Osgood, M.D. If you are a current patient, thank you for allowing us the opportunity to fulfill your eye care needs. If you are a new visitor, we look forward to meeting you and exploring the various options available for maintaining good eye health or correcting and enhancing your vision. We are conveniently located in Arlington Heights on Central Road, just west of Northwest Community Hospital. We see patients on Mondays through Saturdays and are happy to evaluate patients with urgent eye problems or emergencies. Call us at 224-735-2016 or request an appointment online. Need to find an experienced eye doctor? You've come to the right place. Our services include general eye exams, glasses prescriptions, contact lens fittings, cataract surgery, corneal transplants, eyelid surgery, pterygium surgery, laser procedures, diabetic exams, management of glaucoma and macular degeneration, and much more. We are ophthalmologists, or eye doctors, serving Arlington Heights, Palatine, Mount Prospect, Glenview, Schaumburg, Barrington, and surrounding areas. When you visit Central Eye Care Limited, your eye health is our top priority. Our entire team is dedicated to providing you with the personalized care you deserve using only the latest, most innovative techniques in eye care. This website was designed with you in mind. Part of our commitment to serving our patients is to provide them with useful information to help them make more informed decisions about the various treatments that are available today. Call (224) 735-2016 to Request an Appointment! Need eye care, an eye exam, or an eye doctor in Arlington Heights, Palatine, Hoffman Estates, Schaumburg, Mount Prospect, or Prospect Heights? We are eye doctors of 60004 and 60005. 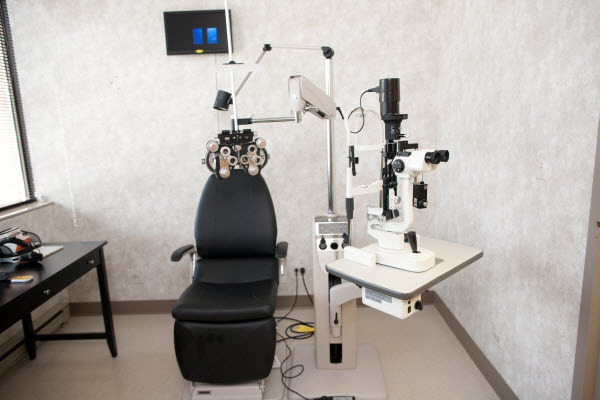 Central Eye Care Ltd is led by Arlington Heights ophthalmologists Dr. David Badawi, & Dr. Brittany Osgood, [Arlington Heights eye specialists], providing top notch eye care, eyeglasses, and contact lenses. Our advanced vision center helps care for a wide range of eye problems like cataracts, macular degeneration, glaucoma, dry eyes, and pterygia. Come see the top eye care we provide at our Arlington Heights eye care center located at 1614 W Central Road in Suite #107. We look forward to providing you the service you deserve! Arlington Heights ophthalmologist and eye care specialist Dr. David Badawi and Dr. Brittany Osgood are dedicated to ophthalmology providing eye care & surgery services at Central Eye Care Ltd.